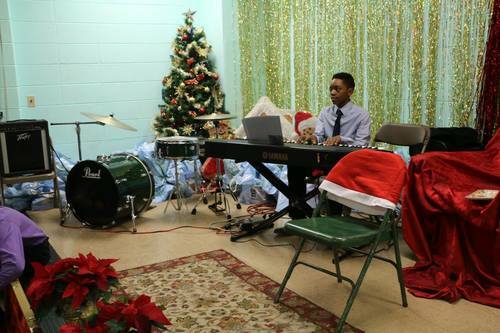 Settlement Music School is where Philly’s Jazz musicians get their start. Philadelphia plays a pivotal role in jazz history. From Billie Holiday to John Coltrane, many major jazz figures were born here and made Philly their home. A number of them got started right here at Settlement Music School. Settlement’s jazz alums include Bassists Christian McBride and Stanley Clarke, Violinists John Blake, Jr., and Diane Monroe, the Eubanks brothers, and multi-instrumentalist Joey DeFrancesco, just to name a few. 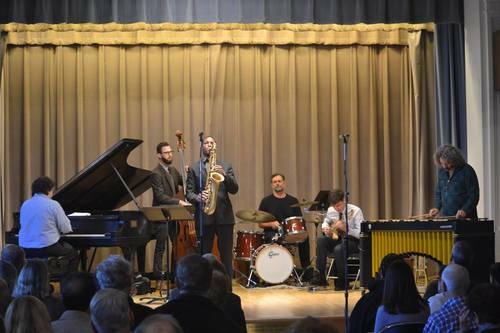 Internationally renowned vibraphonist Tony Miceli not only took lessons at Settlement as a kid, he now coaches Settlement’s Advanced Study Jazz Ensemble. Every day, jazz musicians of all ages and experience levels walk through our doors to practice, rehearse, perform, share ideas, and learn. 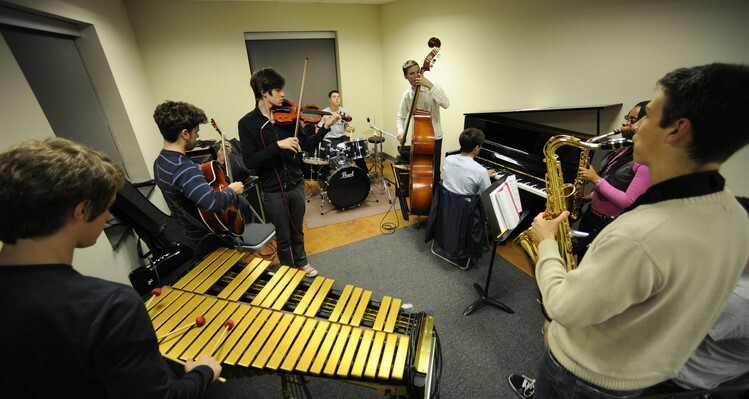 Settlement is preparing the next generation of jazz musicians with classes and private instruction taught by the very best jazz teaching artists. 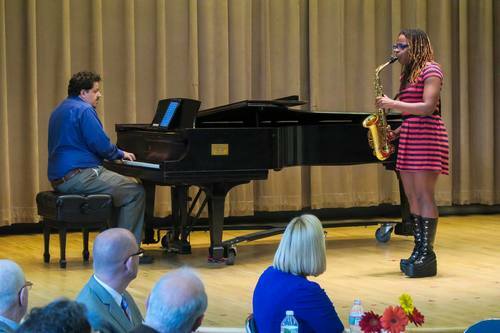 Traditionally, students start with private lessons on an instrument, join a jazz ensemble in early middle school, enroll in music theory and improvisation classes, and eventually audition for higher level ensembles in late middle school and early high school. Settlement offers all of these courses of study, in combination or solo, and is prepared to meet students wherever they might be in their musical development journey. 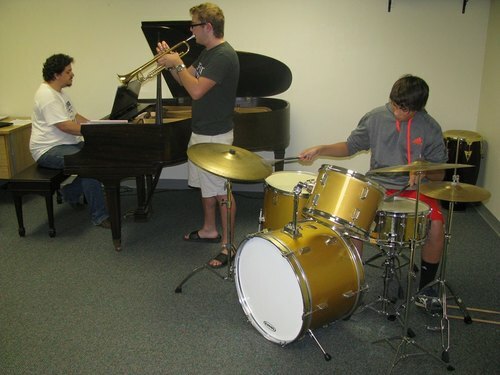 Settlement offers jazz instruction on Piano, Percussion, Guitar, Bass, Saxophone, Trumpet, Trombone, and Violin. Interested in another jazz instrument? Contact us and we will do our best to find the right instructor for you. Lessons are offered weekly, with 30, 45, or 60 minute options. The advanced study scholarship ensemble, taught by Tony Miceli, is for the most advanced students. This group, which is tuition-free, meets for 90 minutes on Monday nights, at 6 p.m. at the Wynnefield Branch. and performs frequently throughout the Philadelphia area. 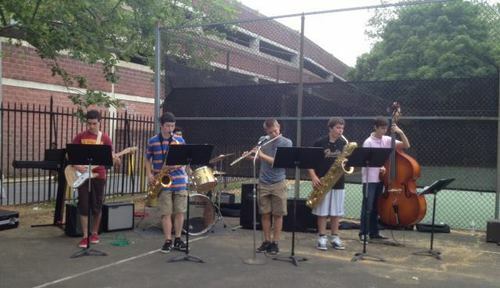 Settlement offers jazz ensembles for jazz musicians ages 10-18 who have at least two years of experience on their instruments. Classes meet for 60 or 90 minutes weekly during the school year and include ensemble and small combo work as well as improvisation instruction. 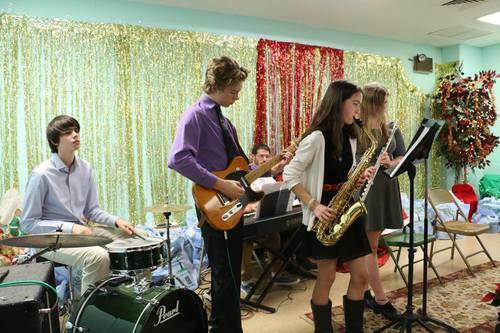 Ensembles regularly perform at events in the community. Mary Louise Curtis Branch: Adult Combo, Tuesdays at 7 p.m.
Kardon-Northeast Branch: Wednesdays, 5:30 p.m.
Willow Grove: Thursdays, 6:30 p.m.
– Middle School, Tuesdays, 6 p.m.
– High School, Thursdays, 6 p.m.
– Wheeler Pre Advanced Jazz Ensemble, Mondays, 6 p.m.
– Schwartz Advanced Jazz Ensemble, Mondays, 7:30 p.m.
We are building the next generation of jazz greats! 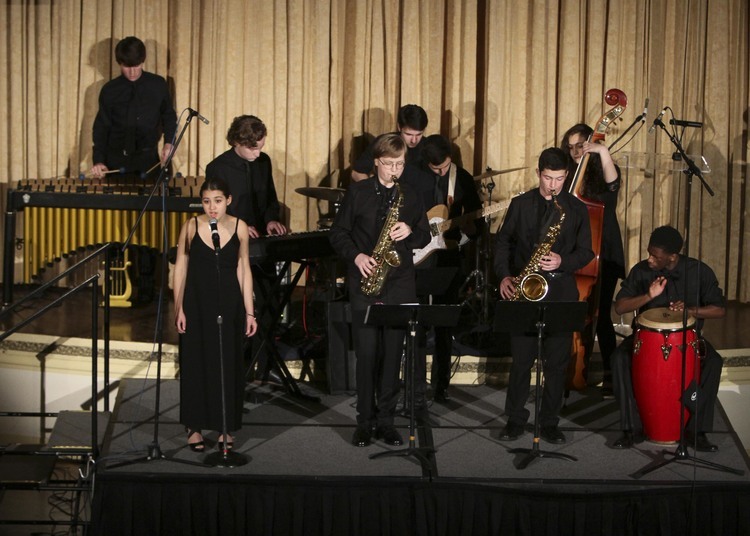 Settlement Music School's 107th Anniversary Gala at Hyatt at The Bellevue Philadelphia Hotel on May 2, 2015. Staff will meet with you one-on-one to understand your needs and recommend what class, teacher, or program is the best match. Pricing for individual lessons, classes, workshops, summer programs, and more. Find all of your school resources here. we are here to support your success every step of the way. 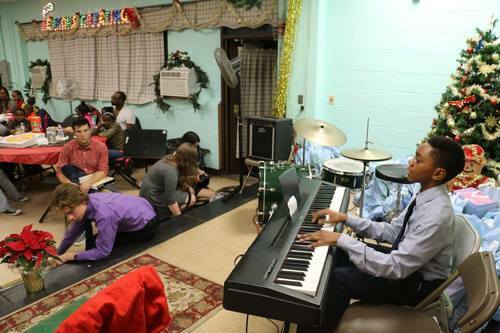 © 2019 Settlement Music School, a 501(c)(3) nonprofit organization.